My Friday Favorites are hitting the blog a little late today, because we are deep in the midst of house projects! 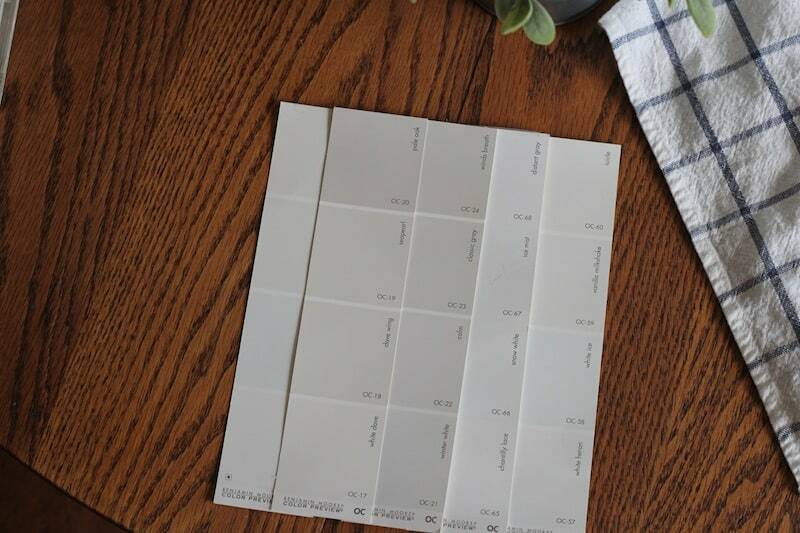 I’m finally settling on a paint color for our bedroom, Ben is working on our basement, and I’m (hopefully) getting final coats of paint on our front door and my ongoing dresser project. Whew. A busy weekend ahead! Going to the library is basically always my favorite thing and this week was no exception. 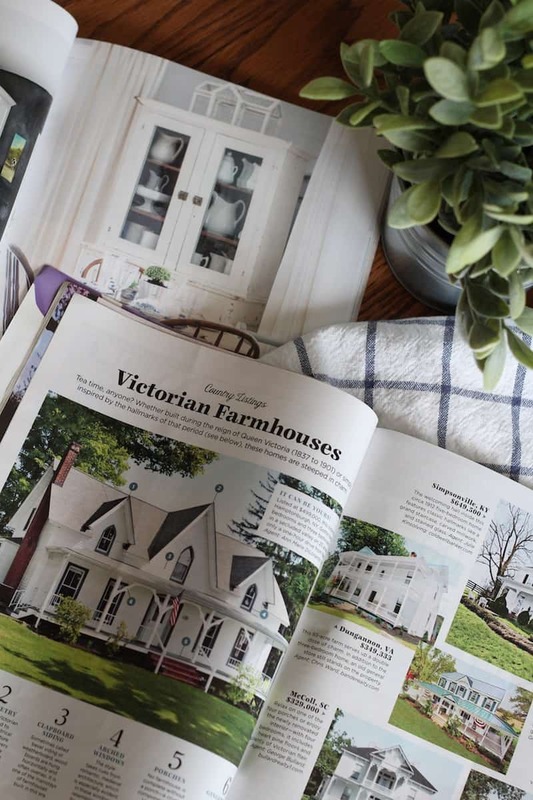 I got the bug to pick up a whole stack of home magazines to rifle through and it’s been fun to look over hard copies of farmhouse and cottage inspiration. There’s something refreshing about paging through an organized resource for decor inspiration. 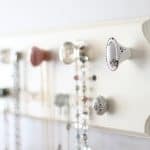 Does anyone sometimes feel like they are only seeing bits and pieces of the new trends when perusing Pinterest? I find that Pinterest seems to show me the same stuff over and over. Plus, there are no dead-end links in magazines! 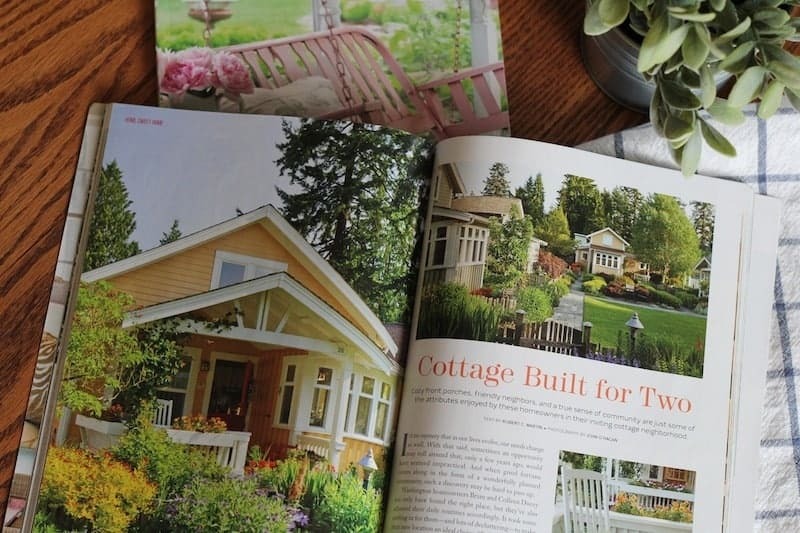 Here I picked up The Cottage Journal, Country Living, and of course the Magnolia Journal. How about you? Do you prefer Pinterest, books, magazines, or a combination of them all? I definitely go to Pinterest most frequently, but it’s fun to switch it up! Remember waaaay back when I mentioned wanting to start a bedroom makeover? Yup, finally getting it started. I’m telling ya, we do things nice and slow over here (even though it feels like I’m always painting something!). The paint color is getting nailed down this weekend and then hubby is planning to help me install farmhouse trim around the window (like this). 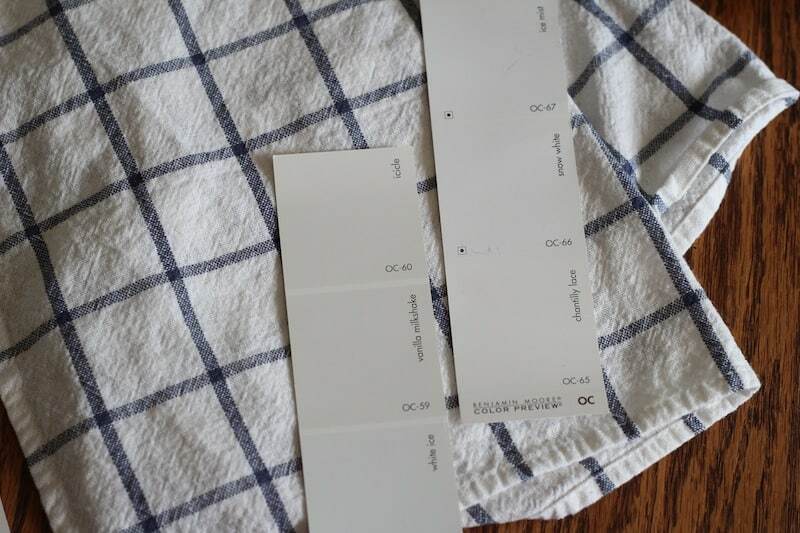 If you follow me on Instagram, you know I was at a total loss for what color of white to choose. I didn’t want a cold shade, but I also didn’t want a creamy white. I’m also working with limited natural light (only one window) which complicates things a bit. 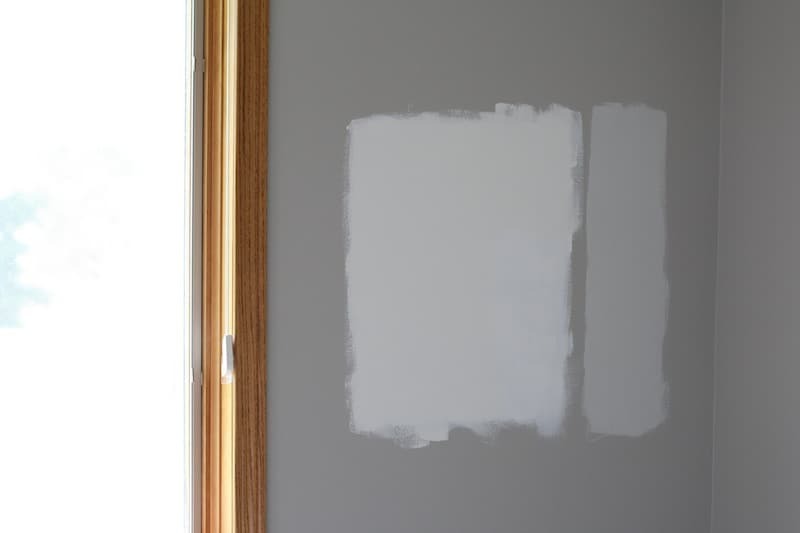 After spending a lot of time with my paint chips, I am about 90% sure that I will use Benjamin Moore Vanilla Milkshake for the walls and Benjamin Moore Chantilly Lace for the window and trim. Here you can see Vanilla Milkshake and Repose Gray (I decided to try the gray too since I had a sample quart already) off to the side. I also left a little patch of primer on the square of Vanilla Milkshake so I could see the difference against a bright white. Ben and I got over to Home Depot yesterday and picked up supplies to refinish our basement walls. We are rebuilding the walls (studs+drywall) to correct some weirdness that took place when the basement was originally finished. We found some questionable electrical wiring, cut up drywall (covered by paneling), and we also knew we wanted to omit an odd stairstepping ledge that circled the room. I’m just reeeeally excited at the prospect of a usable basement! You guys definitely have to check out this gorgeous living room makeover from Sarah at She Holds Dearly. Sarah has amazing taste, and honestly the “before” photos are beautiful too! What I really love about this makeover is that Sarah took her time and diy-ed many pieces. 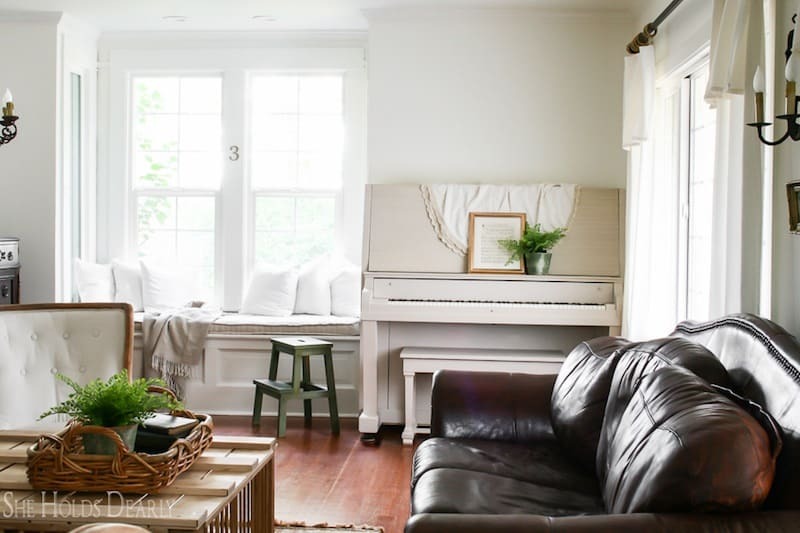 The room features her painted piano, painted leather couch (so great!) and reupholstered chairs. I love how the room is filled with character and every piece has a story. All the diy elements and found pieces means that it’s truly a unique space. Plus, she shares process photos of the hard work they put in to get to the final look. 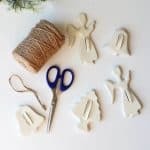 I love when bloggers share these details, because I think it helps everyone in the process of updating see the light at the end of the tunnel. When I get discouraged about how slow I feel like our house is coming along, I just need to be reminded that good things take time. Beauty certainly CAN happen on a budget. Hard work and creativity is the ticket! Anyway, lots of inspiration, so definitely stop by and check it out. Well that’s it for now, but I’d love to hear something that you’re loving this week. 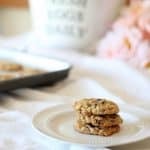 Share with me in the comments!